Double Trouble is for those mega beaks in your house. 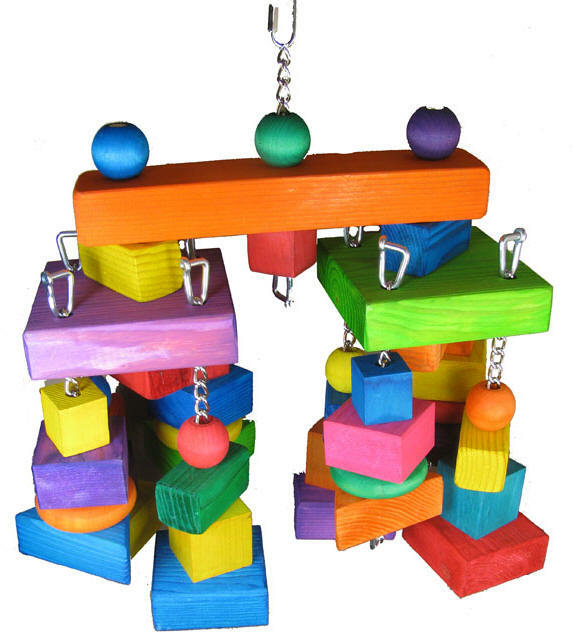 There is lots of colorful, chewable wood, secured with heavy duty links and nickel plated chain, then topped with a quick link for easy hanging. Great toy for those bigger beaks in your house that are fond of turning lots of wooden parts into toothpicks!